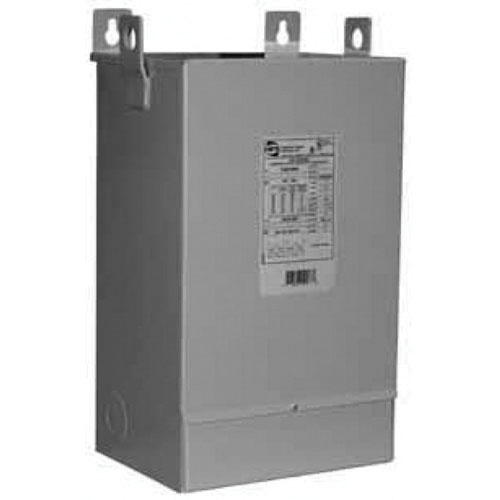 Hammond Power Solutions Fortress™ Encapsulated distribution transformer has a primary voltage rating of 120/208/240/277-Volts and secondary voltage rating of 120/240-Volts. The 1-Phase transformer has a power rating of 7.5 KVA and 180-deg C insulation for protection. The wall-mounted transformer features lead wire terminals for secure connection. The NEMA 3R rated transformer in ANSI 61 gray finish, has stainless steel construction and aluminum winding for durability. It protects from moisture and airborne contaminants. It is suitable to use in shopping centers, schools, sports complexes, office buildings and lighting. The encapsulated distribution transformer meets UL 50, E50394, CSA LR3902 and NEMA ST-20 standards.